0 Members and 1 Guest are viewing this topic. Read 1058 times. I found HAL at Axpona! He had the Super 2’s or 4’s whatever you want to call them set up with OB subs but using electronic crossovers. If you want that Super-7 sound for less money these are definitely the way to go! Fantastic sound! 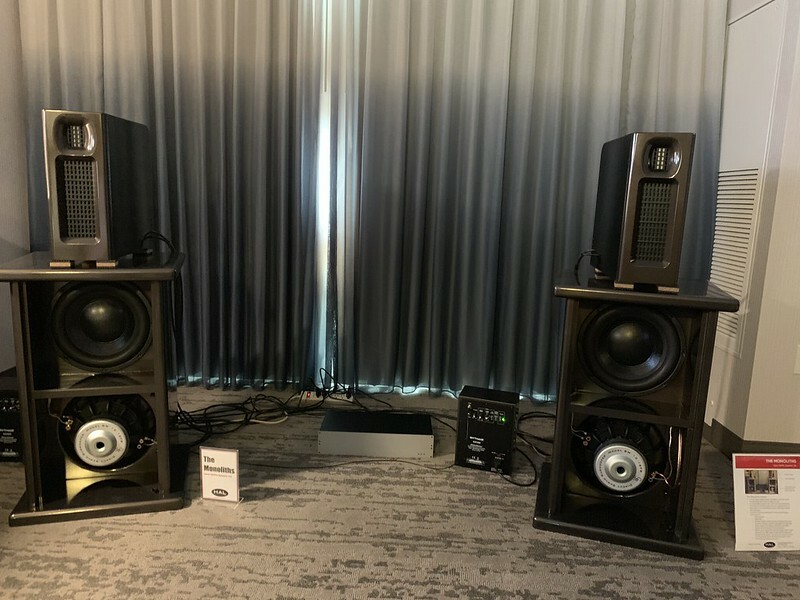 Great to see you yesterday and thanks for the comments on The Monolliths speaker system sound with the new dspNexus digital crossover! The feedback on sound in the room is greatly appreciated! Congratulations, Rich. Sorry I missed it. Jay, are you making this baffle? Yes, stillhave a pair or two in stock.. Thanks! Always fun getting to check out new electronics. The dspNexus is a great sounding setup. Posted info im my Circle if of interest. Miss seeing you as well. Always great to catch up when we do. Hi Jay. Do you know the aprox. size of those baffles, cost? Do you happen to know the crossover cost, aprox.? They are sold as a complete cabint kit ( 2 baffles, 2 short wings, 2 long wings, 2 bases), cost is $275 + shipping. 16" tall x 6.25" wide at ront baffle... depth is rougly 15"
Thanks Jay. Have you heard that configuration? How close to the Super 7s do they get? Danny needs to update his website. Any idea as to crossover costs? Hi Jay. Actually, I will be in the area May 3-6 and would love to stop by again. I would need to know what day, time works for you and your address and contact info.